This house at 1512 S. State St. may not look promising, but a determined owner could fix it up. 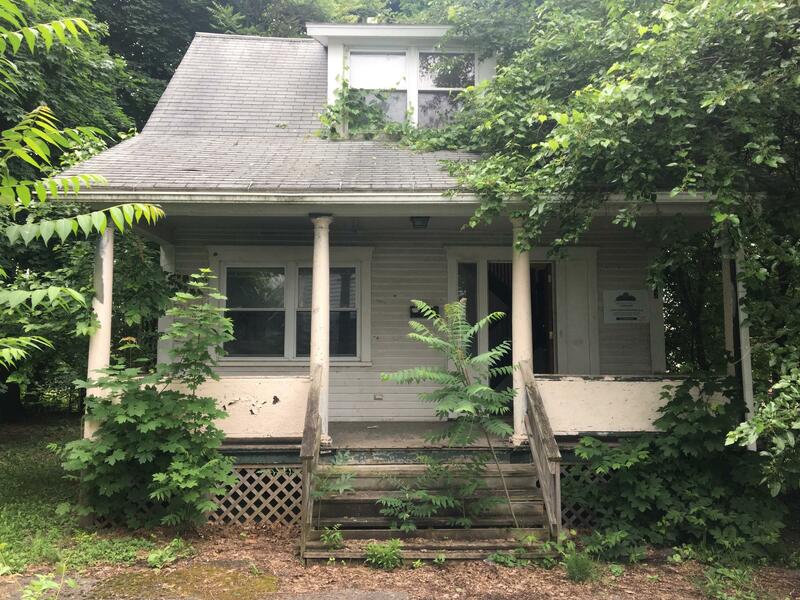 A dilapidated home with cracking paint and weeds growing through the front steps on Syracuse’s South Side is going to serve as the focal point of a Safe and Healthy home tour. The house is situated behind another home after a long walk-up a cracked driveway. 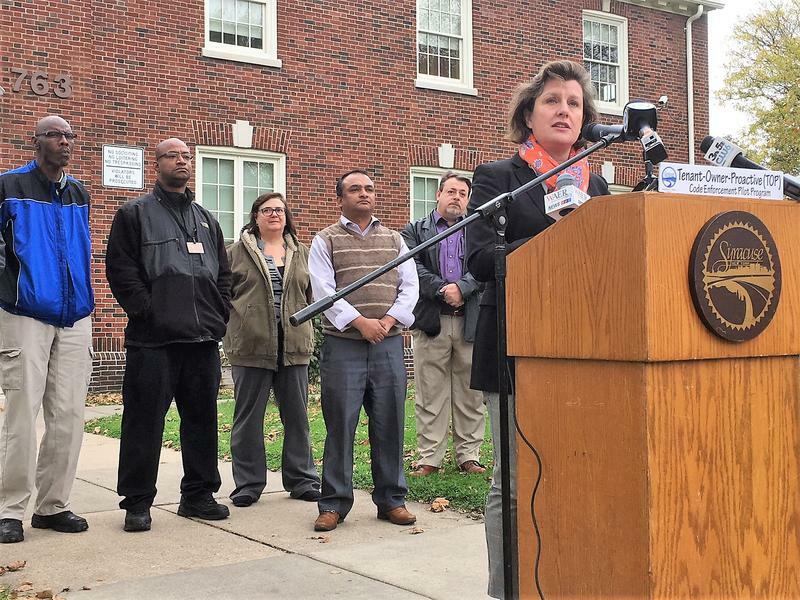 Listen to how Syracuse is hoping to educate Landlords and Homeowners through "Healthy Housing 101." Director of Code Enforcement Ken Towsley says inspectors will lead the public tours and point out what hazards needs to be addressed. Director of Code Enforcement Ken Towsley says electrical outlets have to be secure and up to code. Towsley says homes like this are a part of the inventory of the Syracuse Land bank and can actually be enticing to buy for non-occupant landlords. Low interest loans are provided through Home Headquarters and the renovations can continue, even when the budget runs out. Towsley wants the tour to educate housing providers and anyone dealing with tenants on a continuing basis like social workers or case workers. 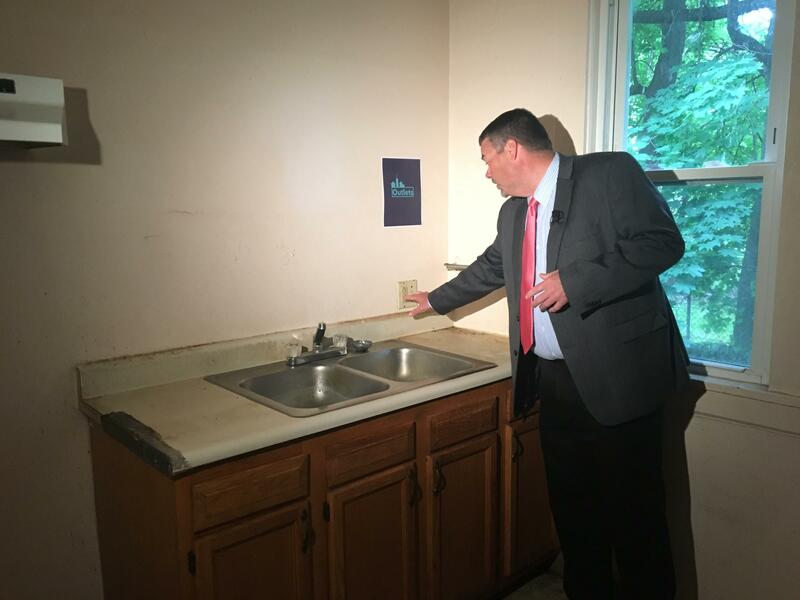 He says it could also offer some advice to people living in substandard housing on what changes to make. Towsley explains that problems aren’t necessarily easy to spot and hidden dangers may exist. Furnaces and hot water heaters have to be properly vented to the outside so deadly carbon monoxide doesn't build up in the basement. 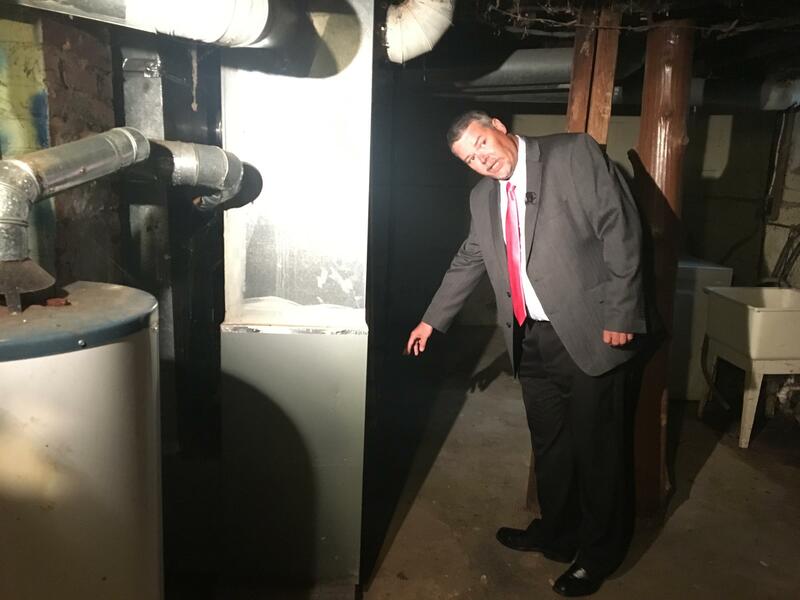 …where hot water heaters and furnaces can cause carbon monoxide poisoning if the gas is trapped inside. So far 80 people are signed-up for the tour which takes place on Friday, June 15th from 11 a.m. to 2 p.m. at 1512 South State Street in Syracuse. More spaces are available by signing up online here.